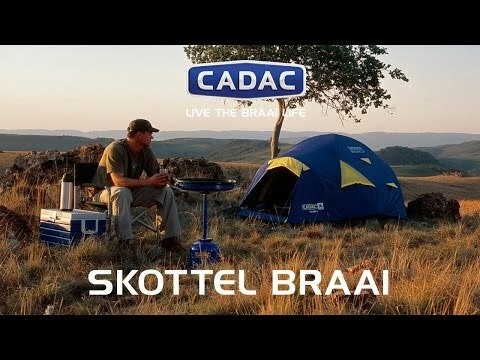 CADAC is famous for developing the Skottel Braai, which originated from South African farmers using a plough shear over a fire to cook an outdoor meal. The Skottel is perfect for cooking a wide variety of outdoor meals… from traditional breakfasts, paellas, sausages, eggs, stir fries and many other dishes. Used with the pot stand, the BBQ acts as a cooker to boil water and accomodate pots upto 30cm. Exceptionally versatile, robust and portable, the Skottel Braai weighs under 6kg.